We use the highest quality products available on the market. We take great pride in our workmanship, and this is reflected in our customers' satisfaction. We have a wide range of domestic and commercial safes available for sale and installation. CMI Safes are Australian made and of the highest quality with variable recommended insurance ratings. EVVA is a SCEC endorsed system that is high security and cost effective at the same time. It offers anti drill sliders and drill pin to protect against drill threats, along with the side bar system to protect against bumping. Suitable for many applications, including businesses, schools, hospitals and banks. EVVA cylinders and keys have a patent protection design until 2022, and are made to the highest European standards. Most vehicles on the market today have a microchip in the head of the key. We can duplicate and wide range of transponder keys at a fraction of the cost of a dealer. Lockwood is a renowned brand, which have been established since 1943 and have a variety of products for any application, residential, commercial and architectural. 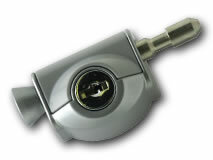 Carbine is an excellent choice for innovative, durable design from keyless entry to cabinet locks. They have strength, security, reliability and functionality. We stock a wide range of remote controls to suit alarms, cars and garage doors. Video surveillance provides valuable services in the industrial and commercial arenas within the scope of a sophisticated security concept. In addition to the classic security tasks, such as perimeter and exterior surveillance, against vandalism, break ins and espionage. High quality German design Abus CCTV supplied and fitted. Locked out of your home and can't get in? Don't worry. 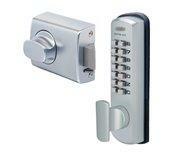 We provide you with complete solution for door lock both for commercial and industrial applications. You can get your security door locks replaced as well as repaired by our expert locksmiths. We can also help you with rekeying your door. We provide complete solutions for lock outs, sliding door locks, security door locks, roller door locks and master key systems. We assure you of the highest quality service from our professional locksmiths.